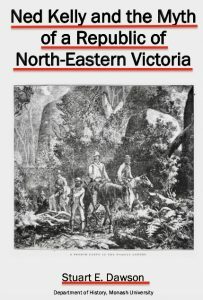 This year one of the subjects I am going to keep returning to is Stuart Dawsons free publication from last year, Ned Kelly and the Myth of a Republic of North Eastern Victoria. (If you havent read it, get your free copy by clicking on the image to the right) I said on this Blog in my review of the 2018 Kelly calendar that this publication was by far the most important of the year. In fact, without doubt it was not just the most important publication, but the most important event of any kind in the Kelly world in at last the last five years. Anyone who disagrees with that assertion is welcome to nominate what they consider was a more significant event, and why in the comments at the end of this post – I predict nobody will. 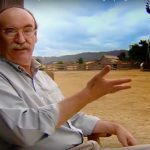 The reason I am going to keep talking about it is that the implications of Dawson’s findings are too important for the Kelly story to allow them to be forgotten about or ignored and allowed to disappear from view, which of course is what the Kelly apologists, promotors and sympathisers alike would all much prefer. They don’t want the embarrassing news getting out that the centrepiece of their Kelly idolatry has been debunked, disproven, demolished, fatally damaged, destroyed – call it what you like – but the idea of a Kelly republic of north east Victoria is a myth, a clever invention dreamed up by Ian Jones, and all thats left is criminality. So far, – apart from the usual barrages of abuse and personal attacks on the author – the Kelly apologists have more or less completely ignored the content of this vital challenge to the central pillar of their beliefs, and carry on as if nothing happened. They want to carry on as if nothing happened last year, and pretend that it’s still OK to claim their hero was some sort of proto-revolutionary with a plan to form a Republic of North East Victoria. They want to carry on celebrating the Armour and the Kelly historical sites – a fallen chimney, a sash, a gun, an empty field at Glenrowan, the scaffolding at the OMG – as if a God once walked there. But it’s not OK to carry on as if nothing happened – the Kelly story has just been radically re-written! The truth is that if Dawson is right, the man they venerate was not a god, he was not a revolutionary or even a good man but a smooth, charming but notoriously violent criminal, a shameless liar, a multiple murderer, and the best explanation of why he was such a person is that most probably, he was a psychopath. The shattering truth they still refuse to acknowledge is that if Dawson is right, then they venerate a psychopath and the Kelly Legend is dead. And much as they would wish to deny it, that is the choice Ian Jones has left them with : Kelly Republic or criminal! But the republic is now as dead as flat earth theory, as dead as the sciences of alchemy and phrenology, as dead as the Dodo, and in that light their continuing veneration and hero-worship looks kind of creepy. Of course, it hardly needs to be said that this all hinges on Dawson being right! Well, for some reason so far no substantive attempt at a refutation has emerged from anywhere, and frankly, given the comprehensive nature of Dawsons deconstruction its very hard to imagine one ever will. The Kelly mobs excuse for not taking Morrissey’s latest works seriously was that there were almost no references in it, but Dawson’s paper is comprehensive and exhaustively cross-referenced so what is their excuse now? In fact, I think they can easily see that his argument is almost untouchable, and so out of fear they refuse to go anywhere near it. The nearest thing to a response to it – other than the usual stream of disgraceful personal insults we have become used to receiving from Kelly toadies – came from Steve Jager, the amateur self-proclaimed Kelly historian and “historical consultant”. He responded by reposting irrelevant stuff he had gathered long before Dawson wrote his paper, didn’t address a single one of the challenges raised by Dawson and yet considered he had somehow produced a refutation of it. Jager, and everybody else in the Kelly camp dont seem to understand that to refute something you have to address the authors actual arguments and refute them one by one – something no sympathiser, Jager included, has yet to attempt. However, Jager plans to deliver a speech on the topic at the Chiltern Seminar in April, so maybe he will try again but I doubt it – he’s no academic! My bet is that he will simply recycle the same irrelevant junk, once again ignore the substance of Dawson’s paper except to ridicule it, and will again fail to directly address let alone refute even the least of Dawson’s arguments. No doubt he will be applauded by the wilfully gullible uncritical Kelly groupies who are desperate for Dawson to be wrong, and will continue to cling to an absurd hope that one day something will appear to miraculously resurrect their dead buried and cremated Republic. But if Jager has something new to say I will be stunned. If he has something new to say I will happily post an unedited complete transcript of his talk here, if he makes one available, but somehow, I doubt he would be brave enough to allow his thoughts to be scrutinised by anyone other than confirmed Kelly apologists. There is however possibly one further somewhat oblique attempt at an answer to Dawson’s paper in the pipeline. This will be in the form of a soon to be released novelisation of the script written for the ‘Glenrowan’ movie by Matthew Holmes and Aidan Phelan. Ominously, Steve Jager is listed as the ‘Historical Consultant’ to this movie. Phelan says on a video post to his Bushranger webpage that “we found that the plan at Glenrowan was far too meticulous to be just some pointless mass murder, especially when you consider that its so far in opposition to the strict moral code of the person devising it”. According to the Synopsis provided on the movies website the gangs goal at Glenrowan was “to derail a train of policemen and start a revolution”. 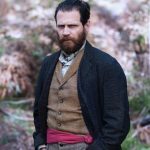 In the past Holmes and Phelan have insisted that their bushranger movies were to be entirely based on “historical evidence and facts rather than a novel or opinion” so I will be intrigued to hear from them what facts and what evidence they have that the Kelly Gang was meticulously planning a ‘revolution’, and exactly what kind of revolution it was going to be. Such evidence could of course be a direct challenge to Dawson’s conclusions. However, to avoid having to supply that evidence the trick they are employing is to release their claims in the form of a ‘novel’, in which anything can be asserted without the need, as in genuine non-fiction, to back up claims with evidence, references, or sources. So, as I keep reminding everyone, anything asserted without evidence can be dismissed without evidence. I await this publication with interest. As for Holmes and Phelans preposterous assertion that the person devising the planned mass murder at Glenrowan – Ned Kelly – was bound by a “strict moral code” – I can only shake my head! This mans ‘strict moral code’ allowed him to become a notorious liar who took pride in being an unconvicted ‘wholesale and retail’ horse and cattle thief, led him to convictions and imprisonment for indecency, assault and murder, and he never once expressed a single word of regret for his murders of policemen or for other actions of his that resulted in the imprisonment of his mother, or for the death of his brother and several friends and other innocent bystanders. I wonder what the hell a lax moral code would look like to Holmes and Phelan if they think Ned Kellys was ‘strict’? The deeply ironic fact, something which I think is entirely lost on the sympathisers, is that the architect of the republic myth himself, Mr Ian Jones was the one who developed the idea and repeatedly insisted that without a republic Ned Kelly could only have been a criminal. Its an extraordinary irony that even as he was building the case for a Republic, and creating a name for himself as the great Kelly advocate adored by all Kelly sympathisers to this day, Jones was stitching into its fabric the seeds of its own destruction, the fatal flaw. The other irony is that for most of its life, the Kelly myth, as expounded for example by Kenneally and Brown, had nothing in it about the Kelly Republic of north east Victoria, which as Dawson showed is almost entirely an invention of Ian Jones. What Jones did was demolish the old version because according to him it couldn’t be understood except through the lens of a republic – but now that the republic has been demolished, what is left for the Kelly sympathisers to go back to? According to Jones all that’s left is “a criminal atrocity of monstrous scale”. One last message to anyone who thinks their families ‘oral history’ will get you out of the mess you’re in, and save your precious Republic. Your first massive hurdle is to explain why no such oral history existed in 1929 when Kenneally wrote “The COMPLETE Inner history of the Kelly Gang”. Not only was Kenneally a well connected extreme sympathiser, but he listed old Tom Lloyd, the so-called fifth member of the Kelly gang as his primary informant and therefore would have known of and included in his book every last rumour that elevated the Kelly Gang. But even Tom Lloyd had never heard of such a plot, and so Kenneallys book says absolutely nothing about a republic of north east Victoria, or for that matter the ‘revolution’ hinted at by Holmes and Phelan: absolutely nothing! Not a single word! The information given to Ian Jones some 30 years later about such a plot by Tom Lloyds son was made up to amuse Ian Jones – and Tom junior admitted that to Doug Morrissey! It was a hoax! So, if even the Kelly family didnt have an oral history of a republic in 1929, I cant see how anyone elses family would, let alone the family of your neighbours friends grandmother who passed in the north east last century some time! I know its hard to imagine that the stories you’ve believed for years might be wrong, and even harder to dump them but if theyre about a Kelly republic they ARE wrong, and you should dump them if you want to be able to say that what you believe about the Kelly outbreak are the facts and not the fantasies. Hi Dee/David, thanks for the plug! It wasn’t until a few months after my Republic debunking book was released that Leo Kennedy’s “Black Snake” book came out. I was not able to include his revelation that ex-policeman Tom Patrick Lloyd, who fed contradictory republic stories to Jones and Molony to embarrass them (as he previously stated to Morrissey), also said the same thing to Leo Kennedy’s father in Leo’s presence as a youngster. The oral history on which Jones and Molony built the republic was entirely based on Lloyd’s leg pulling stories, which he fully retracted. People need to read Morrissey and Kennedy to see this for themselves. You will find some Kelly enthusiasts who have glanced at my book still clinging to a belief that a “declaration of a republic” was seen, and will turn up some day. This is known in the trade as a cargo cult. Leonard Radic’s belief that he saw a printed declaration in 1960s London was retracted by him about 5 years ago. The references are in my book, along with the total demolition of that silly piece of nonsense, swallowed wholesale by very learned types including Judge John Harber Phillips. (Again, see my book for the details.) It is not a difficult academic book. It is in everyday plain English that can be read by any secondary student. It also busts numerous myths about the Glenrowan siege and a bunch of other Kelly stories. Time for people to get a reality check, discard the Kelly republic tale, and move on. Jerilderie letter and read what he said to his prisoners and elsewhere, where Irishness is not or barely mentioned and is totally irrelevant. The Irish rebel angle is not in the Cameron letter, or the June 1879 letter either. Jones, Molony, and others have built an entirely imaginary castle in the air and read Ned into it. For years people carried on about Ned’s father Red Kelly being transported as an agrarian rebel, until it was found that he was a common stock thief who stole from another poor farmer, and who also turned police informer. It’s high time the republic myth went the same way, toilet-wards. It typically takes about 2 to 3 years for new work in a subject area to have much impact. There’s no hurry. At last the appalling “Unmasking the Kelly Gang Unmasked” shonk website has bit the dust. Nothing posted there for yonks! Can’t get into the Mark Perry blog. He seemed a decent guy but has taken on-board lots of Kelly clods. A new Kelly closed shop. Most likely the Irish rants in the Jerilderie letter were mostly written by Joe Byrne, not Ned Kelly. Byrne was vaguely descended from some Irish rebel ancestor; Ned wasn’t. It is quite clear that the Jerilderie letter is just a rambling and possibly drunken elaboration from a copy of the earlier Cameron letter (see the last page of my book on this). The Cameron letter says nothing anywhere about being Irish, or about Ireland. The only mention is the line, “Fitzpatrick shall be the cause of greater slaughter to the rising generation than St. Patrick was to the snakes and toads of Ireland”, an obvious Catholic reference that has nothing to do with Irish politics (or common sense). Fitzpatrick, like Kelly, was another young Australian colonial, and as Richard Twopeny shows in his 1882 “Town Life in Australia”, the colonial-born sharply distinguished themselves from immigrant settlers and new arrivals. According to Jones, “the essence of the Kelly story is Irish rebellion against British authority”. This is based on his republic myth view of Kelly. There is no support anywhere for that belief in the social relations in NE Victoria in Kelly’s day, as Doug Morrissey shows in his two books, but most particularly the second one (Selectors, Squatters and Stock Thieves). Jones got the economic history of “Kelly country” totally wrong, as my republic myth book shows., and as he was told back in 1967 but chose to dismiss the criticism in favour of his uncritical newspaper browsing (see C. Cave, ed., “Ned Kelly – Man and Myth”, 1968, for Jones’ dialogue with professional historian Professor Weston Bate). 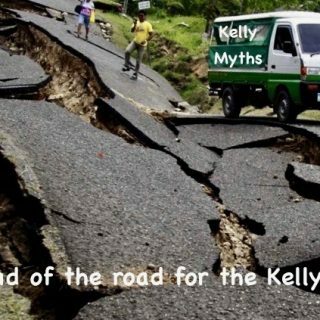 What we are finding is not just one fatal flaw in the Kelly myth – the republic nonsense – but a whole bunch of previously believed fairy stories that are falling apart in their first decade of critical review in 140 years. 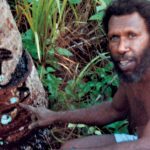 The next domino going down is Jones’ theory that McIntyre changed his story about what happened in the shooting of Longan at Stringybark Creek. According to Jones, McIntyre gave a statement to Sadlier two days after SBC, which is printed in Sadleir’s Recollections, p. 187. What has happened is that Jones has confused a report that Sadleir got McIntyre’ first SBC report (via Sub-Inspector Pewtress), with the text of the incorrectly remembered interview in Sadleir’s book. The actual report in question is in the VPRO, along with correspondence about its going missing and rediscovery. On the basis of his incorrect belief that the tale in Sadleir was an actual police report, Jones accused both McIntyre and Sadleir of multiple counts of perjury (see his “Short Life”). As a result of bungling the identification of McIntyre’s report given via Pewtress to Sadleir, which is consistent with every other statement by McIntyre, with the remembered story Sadleir wrote up in the Recollections 30 years later, Jones berated McIntyre as a liar and perjurer at every opportunity on that basis, and led 50 years of Kelly researchers, including Waller in 1968 (see the discussion at the end of Waller’s paper in Man & Myth) right up the garden path. Where the pixies live. 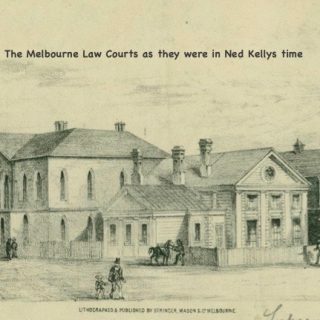 Contra McQuilton in his “Kelly Outbreak”, Ned Kelly’s story about what happened in Lonigan’s shooting changed multiple times, as can be seen in the courtroom testimonies by witnesses relating what Kelly told them. By contrast, and contra Jones and McQuilton, McIntyre’ story never varied at all. Lonigan started to run, never got his revolver out, and was shot dead in cold blood during the ambush. The McIntyre statements issue is yet another Kelly history stuff up of gigantic proportions. Happy Australia day! Even a notable barrister and later Chief Justice of Victoria, among many others, got conned by the Sadlier/McIntyre mistake. Not a good look for a book purporting to present a legal standpoint. ‘The Armour: the myths, the facts’ lectures loom. Dummies who attend will kick themselves later for not reading authentic details of the armour in the State Library of Victoria Journal a few years ago that quoted PROV archival documents and State Library documents about the armour. You can never go past articles that quote people on the spot who saw the armour first-hand. The Kelly Gang Unmasked 2012 book pointed out there is no evidence for any NE Ned republic. Valuably, Stuart has shown exactly what that no evidence was. B R I L L I A N T. Well done Stuart! Hi Neil, thanks for that, and yes, there is a lot of valuable material and references in Ian MacFarlane’s “Unmasked” book that has been overlooked by many Kelly “researchers” since 2012, leaving their work much the poorer (and even wronger). Can I also mention that my republic debunking book showed that there is a large pile of historical evidence which directly contradicts the claims for a Kelly republic, and for any alleged “sympathiser army”. Jones, Molony, McQuilton and others definitely knew and read that evidence, as they quoted from most of the same source documents I used. Both Doug Morrissey and Leo Kennedy were separately told, in person, by ex-policeman Tom Patrick Lloyd, the source of the oral history claims for a sympathiser army, that he had fed the Kelly researchers a load of crap so they would embarrass themselves as fools. He would be laughing out loud at the republic crap finally being totally exposed as horse droppings. Unfortunately I was only able to quote Morrissey on that in my book, as Kennedy’s book was not out then. But Kennedy is worth reading just for that! Another thing I just spotted is in Gerald Stanley’s introduction to J.J. Kenneally’s 1929 “Inner history of the Kelly gang”, where he says, “The Kellys were merely in revolt against persecution, not against Society, as reflected by the laws of the State.” No republic, nil, zip, nada. Poop. What happened to those learned scholarly types that didn’t notice that? Must have been asleep like I was when they read it (! ), but it’s totally clear from Stanley too that there never was any politicisation anywhere in the Kelly story. A significant bit of Australian history has been written by a bunch of monkeys on typewriters. And it’s worth peanuts. Time for a factual version. Long overdue. However, the most revealing thing is your extraordinarily condescending quotation marks on “researchers”. Read: anyone who disagrees with you. When will you get it that possessing more than one opinion on a historical topic is a good thing? It’s healthy, matey boy. Or is this idea just too post-modernist for your very delicate palate? To Anonymous 1123pm : Whats is it with you Kelly sympathisers? NEVER discuss the actual issue but look for some irrelevant side-issue from which to launch yet more ad-hominem attacks! Is there NO Kelly sympathiser in Australia who has the brain power or the courage to address the actual issues? Who is going to brave enough to comment on the lack of a Kelly family republic history? Nobody it seems – they’ve all run off to a mutual admiration society, hiding inside a FB Echo-chamber and convincing themselves its all good with the Kelly story! One day when they emerge and realise its all been dismantled and wonder why, they will look back and remember its their own fault because they didn’t even attempt to defend it! But how pathetic that all you can manage to critique of Dawsons writings is the tone! Hi David, this is presumably the same Anonymous who pops in every now and then to have a dig at my self-promoting activities, but don’t worry, I take it all in good form as, if it is the same person, they usually put their foot in it by misquoting me, as in this time too. I just have a chuckle that they have missed the point yet again, and write it off. Sometimes there are some good points made by that Anonymous, so that’s something. But, as you pointed out in your blog piece above, apart from the retracted ex-copper Tom Patrick Lloyd stories, and as Anthony Griffiths said to Leo Kennedy, there never was any Kelly family republic history. The drivel you see in Navarre’s book is 100 percent explainable as obvious post-1940’s concoctions built on foundations laid by Max Brown, furthered greatly by Jones’ developing republic mythology from the late 1960s, buttressed by Molony’s misguided meandering from 1980 (based on the same leg-pulling ex-policeman Lloyd source), then reinforced by John McQuilton’s class struggle theory that Morrissey debunked. The Kelly republic myth a great study in social fantasy. Ian Jones looked everywhere for evidence and talked to everyone who could possibly have anything to say about it over a long period of time – from the late 1940s through to the 1960s and beyond, and put everything he could find into his two books, Short Life and Fatal Friendship. There wasn’t much to find, certainly nothing that stood up to serious review, plus both TP Lloyd and Leonard Radic retracted the oral “evidence” the republic fairy story was built on. The problem you raise about the closed fakebook group is really a non-issue. It will be like some sort of Masonic society, with admission by raising a toast “to Ned”, and doing weekly readings from the Beechworth Bible, which is beyond critique or questioning. All groups have groupthink, which explains your story about why you got kicked out of Kelly groups. It’s like Sunday School: everyone is encouraged to come and join in the activities, but woe betide anyone who upsets the monitors by cracking jokes or pointing out that there are historical errors in the text. Here endeth the lesson. Just leave them to it, I reckon. Hi Anonymous, the quote marks around “researchers” is from the sentence that says MacFarlane’s “Unmasked” book has been overlooked by many Kelly “researchers” since 2012, not about my stuff at all. And I can’t think of any author who doesn’t actively promote their own book. Most authors have a facebook page, blog, website, and Amazon or iBooks or Kindle promotions that I either can’t use or there is no point using for a free book. As this Kelly blog is likely to be visited by people interested in the Kelly story, and as David puts up different topics on a regular basis, which presumably different people read, there’s no harm in letting people out there know that I have a free book on the republic myth that demolishes historical fairy tales not just about the republic, but about several wider topics closely related to it that are likely to be of interest to people reading about Ned Kelly. Post-modernists generally don’t have more than one opinion on any particular topic. They each have their own opinion, which is often strongly argued, while acknowledging that other, different perspectives exist that are equally valid and true for those others that hold them. Post-modernists typically don’t hold that there are objective historical facts, but see the world as made up of different, co-existing and in some cases dominant interpretations or discourses. Those discourses seek to subsume or override competing and alternative interpretations that deny “other” voices. Post-modernists seek to recognise, hear and value those other, lesser voices and perspectives, to subvert the dominant paradigm. The work of people like Derrida, Baudrillard, Foucault, etc., la French, is written by people who see or saw themselves as outsiders for various reasons, hence their endless waffling about alterity and the “other”. They self-describe as “other”. They seek “other” voices to be valued and validated because that includes their own, “marginalised” perspectives written from such elite places as the École Normale Supérieure in Paris on elite academic salaries. By rejecting the idea of factual objectivity and replacing it with interpretive schema, they have plenty of things to talk about. In this sense only, my republic debunking book is very post-modern. The dominant paradigm about Ned Kelly is the one developed from the 1940s, which did not predate it, and which has been progressively reinforced by many contributions all starting off on the wrong foot, as it were, by taking a set of erroneous 1940s beliefs as having been historically correct for the 1870s and 1880s. By exposing the construction of that discourse, I enable the long-suppressed voices of the victims of the Kelly saga to be heard. I think that’s enough post-modernism before breakfast. But from another perspective, one which is not at all post-modernist, I think post-modernism is pretty much crap, really. Certain things happened historically, and in the case of the Kelly saga, there is a vast amount of information available that can help sort out what did and didn’t happen on certain occasions. Not surprisingly, this means quite a lot can be discovered about what went on that does not fit with the mostly post-1940s dominant perspective. That means the dominant perspective or paradigm needs to recognise its own limitations and change substantially so as to become a more accurate historical record for those interested in understanding their own cultural history. In this situation it is not a matter of adopting a convenient perspective. All of them are constructed from historical information. When some of that is exposed as invalid, falsified or contradictory, it becomes possible to put together a new model of what happened for consideration by anyone who can be bothered looking. What can’t be done is unseeing the faults of earlier views that no longer hold water. All opinions, evidence and perspectives are welcome to join in that rethinking! 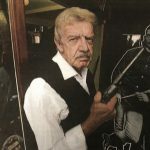 A female person who hasn’t been reading your blogs , David, is putting on a one performer play (at Seaworks Maritime Precinct, 82 Nelson Place, Williamstown, Victoria) ‘Ned Kelly’s Mother’ that dwells on “When people are pushed too far lawlessness, violence and heartbreak is inevitable”. This folklore lift has all been completely and thoroughly disproved. But the Ned Kelly cottage industry of “playwrights” is still going hard at it. At the same site was a plug for those folks that flog pages torn from old magazines and newspapers for a fortune. Smart buyers could probably find whole magazines and newspapers for a few dollars elsewhere. I have complained to a Sydney company about false dates for prints, and whether the print was by the artist they claim. All I get back from them is this “We take time and care with every message we receive — this means that during busy periods, it may take a few hours for us to provide the personal attention you deserve”. Still waiting for a reply ten days later. Yawn. This industry is not policed or regulated. You buy at your own peril and will probably be ripped-off . As for Ellen Kelly books, plays, etc., Good Luck! I feel sorry for Ellen Kelly doing three year’s gaol because her gutless son ran off and left her in the lurch. If Ned had stayed around and taken the blame for wounding Fitzpatrick on his own yellow shoulders she would have had a chance of a less serious charge being brought against her when it went to court. Yes its another one of those moments where the mythology about Ned Kelly being a devoted son blows up in the face of the detail and some reflection about what actually happened. What happened was that the ‘devoted son’ headed for the hills at the first sign of trouble, boasted he was going to raise money to help free his mother but after raising the equivalent of a million or so dollars spent NONE of it on getting Legal help for his mother, and instead gave it to his mates and their families! Then to top it al off this ‘devoted son’ repeatedly lied about his involvement, saying he wasn’t there when it happened. What an absolute prick Ned Kelly was! But I am not sure I feel all that sorry for Ellen. 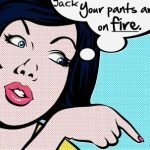 After all she was the person who wrongly thought Fitzpatrick should have had a warrant with him – and so lost her temper started yelling and screaming and then attacked him! If she hadn’t been so ignorant, and had better control of her temper the outbreak wouldn’t have happened! That poster for ‘The Armour: the myths, the facts’ shows the Ned figure on a horse wearing A SWORD! I’m thinking attendees at the 19 Feb will be hearing speculative rubbish about Lorna Doone and Ivanhoe and not much about the gang’s excessively heavy armour. Hope I’m wrong. Actually, it’s worse than I thought. I had to save the blurb as a .jpeg and blow it up just to read it. Apparently Brad Webb is the person lecturing and leading discussions. Brad is not a leading expert on Kelly Gang armour by any stretch. Very relieved I’m not going. “Ned Kelly’s Mother” the performance at Williamstown (see above) is riddled with strangeness. It’s a bit weird actually. It is “by Rennis Witham” but later on we learn the Writer is Neil Cole, and further on that Rennis Witham is the “Organiser of Ned Kelly’s Mother”. In a theatrical sense I dunno what an Organiser does. It seems Rennis Witham was, and maybe is, a health professional. She was a hospitals board member sacked by the State government. There can’t be many people called Rennis Witham, so I hope I am right. I don’t think there will be many Williamstown footballers at the play. Ned never played footie for Williamstown, but he worked not far from where “Ned’s Mother” will be performed. Wastrel Jack P’s Ned introduction home page is a cesspool of misinformation and foul-mouthed attacks on critics of his hogwash. This is a demographic you haven’t properly considered Dee. Many Ned fans in OZ are nearly illiterate; can’t put meaningful sentences or arguments together, and keep on relying on disproven folklore. Jack is in his element there. Some of his higorant commentators know a lot more than him.